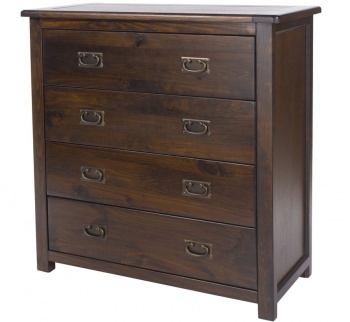 This charming narrow chest of drawers provides a generous amount of storage space for a small footprint. Flared crown molding, panelled sides and antiqued brass pull handles give the piece a classic french countryside feel. 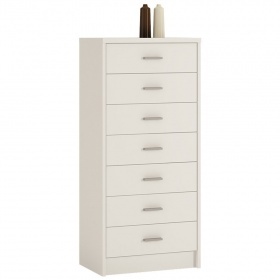 An ideal storage solution for smaller bedrooms. 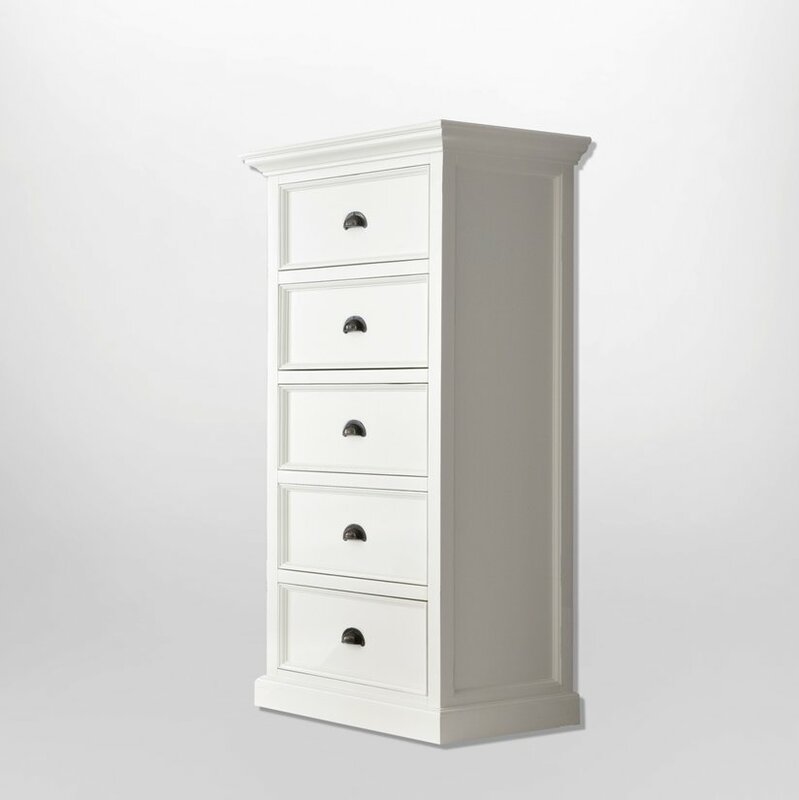 Semi-gloss painted white finish protected with a durable sealer. 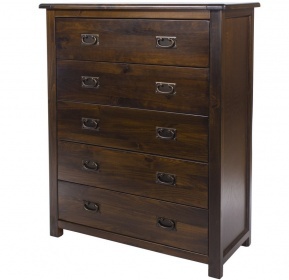 Constructed from kiln dried solid mahogany and composite wood. Carefully selected plantation timber is processed through machinery to manufacture each component accurately. Carpenters hand-assemble each piece using composite wood panelling to construct a quality product. Drawer dimensions are: 72 x 40 x 20.2 cm. One year manufacturers limited warranty for added peace of mind. Nova Solo guarantees their products are free from defects in craftsmanship or construction for a period of 1 year form the original date of purchase. 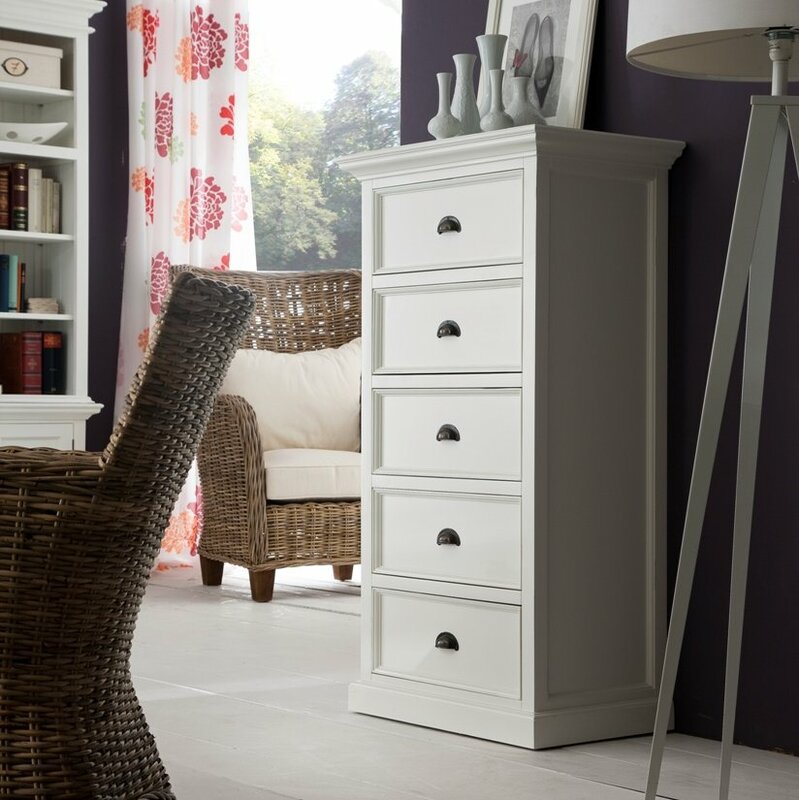 Part of the Halifax collection by Nova Solo.